Have you ever been a victim of an auto insurance scam? If so, you are in good company. Car crash fraud is happening more often than ever before, and there is little that anyone seems to be able to do about it – apart from share the costs. Insurers are losing a lot of money to fraudsters claiming for accidents that they have perpetrated themselves. But, of course, they aren’t paying for it themselves – they are passing those costs down to everyday motorists. According to TheZebra.com, these scams cost somewhere between $2-300 every year for every U.S. motorist. We all pay out for it when we buy our vehicle insurance. That’s an extraordinary amount of money – more than $20 a month in most cases. In fact, if you ever end up as a victim of a phantom or staged accident, it means you will be paying for it twice. Not just through your normal premiums, but also for the extra premiums you will have to pay because you have been involved in a crash. There are various methods that fraudsters use to make a false claim. The most common is the staged collision. This is when a criminal will target an unsuspecting motorist, and force a crash scenario. They might drive in front and come to a sudden stop, causing the innocent driver to plough into the back of them. They could also work in groups, setting up a scenario where multiple vehicles crash. There are even stories of fake witnesses, dodgy medical reports from crooked doctors, and greedy lawyers who are in on the scam, too. Crashes happen on a regular basis on American roads, but there are some ways you can spot a potential fraudster. Although your adrenaline will be pumping, it’s important to try and keep a cool head and take in everything you see and hear. How is the other driver acting? Do they seem as if they have been in a crash, or are they a little too calm and collected? You should also listen to what they say. Many fraudsters will refer you to a doctor, or a lawyer – and it’s a big warning sign. They also might recommend a repair shop to you – who will also be in on the scam. Be aware of recovery vehicles turning up unannounced, too – if no one has called them, your suspicions should be on red alert. Be careful after the event, too. Fraudsters will sometimes make up fake injuries, and perhaps even encourage you to make a claim as well. You might get a call from a doctor one day after the crash, which puts pressure on you to file a claim. Needless to say, you should do no such thing. There are many different consequences to being a victim of one of these scams. The expense is the most obvious issue. You will have to pay for damages that you are not responsible for – and you will tend to find your insurance premiums go up, too. It’s also an enormous inconvenience, and will take you away from your work or family. It can take a long time for an insurance claim to go through, and time is one of those things we all tend to forget about until it happens. There are injury issues, too. Although most fraudsters won’t want to harm you because it might damage their claims, car accidents are dangerous. Even if you are traveling at low speeds, a crash can have a traumatic effect on both mind and body. Whiplash is common, and there is a lot of potential for spinal and head injuries, too. The mental trauma can be tough to deal with as well. Car accidents are notorious for changing people’s mindsets in a huge way, and you may not feel safe driving anymore. It can have consequences on your ability to look after your family, go to work and a lot more. Even if you learn at a later stage that the accident was a setup, it can be difficult to deal with from a psychological perspective. You might have to pay for therapy or other help to deal with your issues – which is yet another expense. The first thing to do is make a note of any evidence you see after the crash. Fraudsters have no intention of doing much harm to you, so most of these crashes tend to be mild, so it’s important to get over the shock as fast as possible. Document everything, from the car registration to the number of people in the car. You should also make sure you note down the number of witnesses to the event. Another scam is to pretend that a victim was present when they weren’t there at all. Take photos if you can, so that you have an extra boost to your evidence armory. Once you have your evidence, make copies and hand it all over to the police. You should also ensure that your personal injury lawyers get all your evidence. 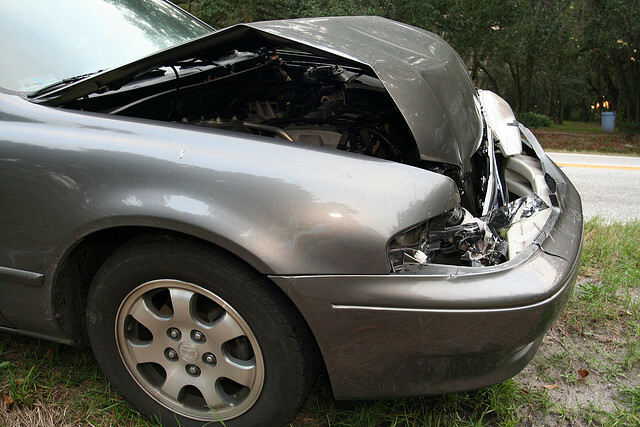 An accident attorney is going to be essential if you have to fight off any claim. Get in touch with one as soon as you can, so that your memories are fresh in the mind. Finally, don’t now to any pressure from anyone offering services at the scene. Whoever is doing this is likely trying to get your details so that they can make a phoney claim. You need to do business with the other driver’s insurance company, and your lawyer needs to do business with their attorney. Although car accidents can be complicated, the only way to get a reliable result is by sticking to these simple mean of communication. The chances of being in a fraudulent accident are still small, of course. However, they are becoming more common as the years go by, and more criminals begin to realise how easy it can be. 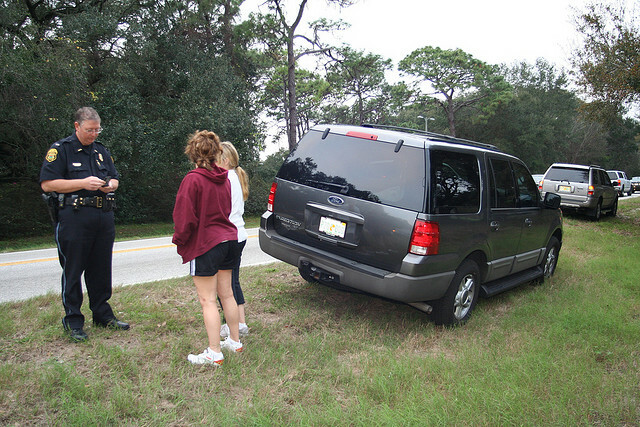 Be wary while on the road, and make sure you have a notebook and pen in your car at all times. You never know when they will come in handy.